website goals » The Computer Company, Inc. When you’re talking about the future it’s hard not to get carried away. The future of almost everything seems exciting. Futuristic cars, houses, television, and of course, websites, will seemingly be able to perform almost any function, thanks to creativity and advances in technology. But instead of focusing on the technology side of the future, focus on the human side. Human behavior is a more consistent bet than technology. If we prepare our website for the future with human nature in mind, we will put our organization in a good position regardless of how the flood of technology leaves things. If we bet on technology, we can either be really right, or really, really wrong. But if we bet on human nature, we can count on consistency and know that our website is going to be well-positioned for the future. People value simplicity. Every day, more than 100 million pieces of content are shared on Facebook. More than 90 million Tweets are Tweeted. About 50,000 new blogs are created to get stacked on top of the 150 million+ that are already out there. As you read this, some of the 294 billion emails that are sent each day are being written. We’re in an era of information overload. Our audience members are busy people who are overcommitted *outside* of their Internet lives. It’s a small miracle each time they make it to our sites so we shouldn’t overwhelm them once they get there. What kind of person is my audience member? What’s the one thing they actually want from me? What one action do I want them to take? There are no Swiss army-knife sites We need to simplify, specialize and stick to our core mission or risk becoming irrelevant. The world is going mobile in a hurry. You’ve heard the stats. By 2015, 63% of U.S. citizens will browse the mobile web. Nearly 150 million people will own smartphones and mobile traffic will increase 26-fold. Mobile isn’t a trend. Mobile is the trend. But the web isn’t just going to mobile devices, it’s going to any screen that can present the internet. Think kiosks, augmented-reality digital signage, screens we haven’t thought of yet. The web is going to be portable: found wherever a digital screen exists. When you’re creating a mobile version of your website (which should be your priority over running out to create a mobile app just to create one), the simplicity you gained in step 1 (“Make it simple) will help pave the way for you to create a simpler menu that satisfies your audience members desires on your site. Nobody likes to stand in line. Waiting is tough for people. That’s why 40% of web users have abandoned a page after 5 seconds of loading. Taking the steps to making sure our sites load quickly will have benefits to user experience and SEO. 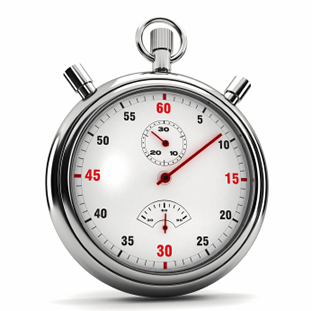 People are more likely to click through more on quickly-loading sites. And Google has mentioned that they take load speed into consideration in their algorithm. Remember, simple sites load faster. And this is even more true (and more important) in mobile. We’ve heard the statistics on social media. And to be fair, a lot of organizations are at least trying social media. But the humanization of your website shouldn’t be limited to your social media pre-approved channels. Social media – or the human element – should be a layer across your digital presence, not channel-based. Humanity evokes emotion from people. Showing the human side of your organization can have many benefits. For instance, during a Fund donation drive, an A/B split test was conducted to see which donation form was more effective and generating donations. One form had a photo, the other did not. The one with the photo – the human – element – converted 10% better and resulted in $1 million more in donations. The social side of your organization can come out anywhere you have content. Your email subscription thank you, your administrative copy, your error messages can all incorporate the human element. Take inventory of your social media outposts: are you acting like a logo or a person? An article this long has to include the cliché “content is king” at least once so here it is: content is king. In a recent survey, 73% of people said they preferred to learn about organizations through articles as opposed to ads. Content is 61% more likely to drive someone to make a purchase than ads, and content can live forever on your website. The power of a good story is strong. And content can pay dividends down the road for your site. A Tweet or Facebook post usually only lasts for hours. A blog post can last for years. If you want to prepare for the future of the web, focus on human nature. Make it simple, portable, fast, social, useful and interesting you’ll be ahead of the race. Put your website to the test! Does your website communicate your message clearly? At the end of the day, what do you want your website to do? Does your website effectively explain your product/service? How do your clients react to your website? Do they like it? What does your sales staff say about your website? Does it help or hurt them? Does your website sell for you the way you want it to? Do you know If people are even using your website? What do visitors do while on your website? Bottom line, all websites have a call-to-action, even if it is to click on the next link or read the next page. Is your call-to-action getting you results? If one or more of these questions cause you concern, call us today at 1-800-418-2358 and let’s get your website ticking again.